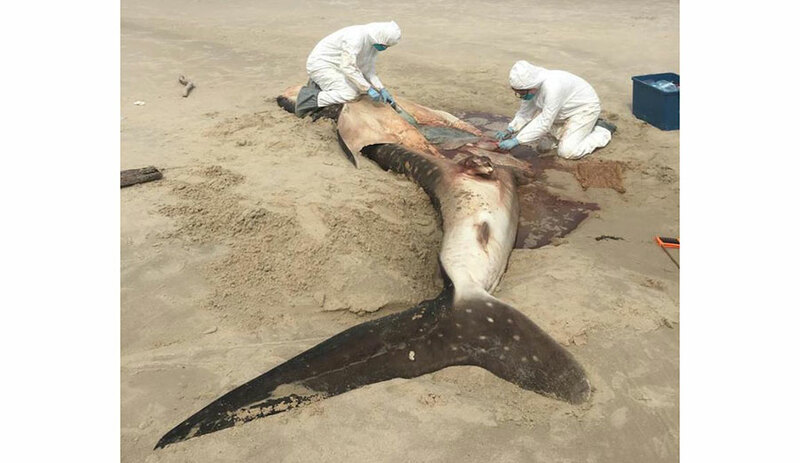 A whale shark washed up on Tanjung Aru beach in Menumbok, an area to the northwest of Indonesia. Post mortem results revealed that it died as a result of a plastic bag blocking the gastrointestinal tract. According to reports, the whale shark was found by a teacher who happened to be jogging the beach on February 5. The animal was a male juvenile. When the Sabah Wildlife Department’s Wildlife Rescue unit arrived, they conducted a necropsy. Since floating plastic bags are easily and often mistaken for things like jellyfish, they pose a grave danger to the animals that accidentally eat them. “This should be a grave reminder of the need to dispose of plastic properly, or even better, not using plastic bags and other plastic paraphernalia at all,” said Sabah Wildlife Department director Augustine Tuuga.